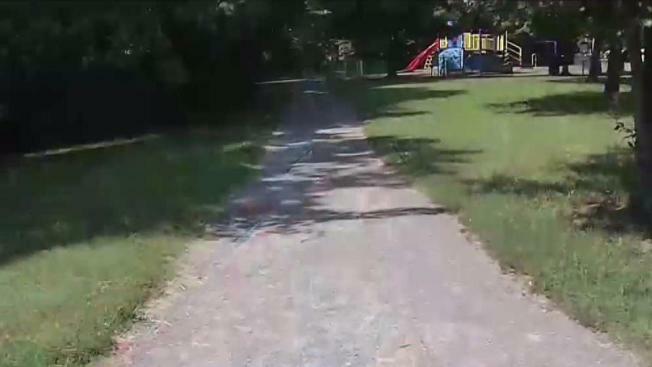 An 18-year-old in Alexandria, Virginia, is accused of trying to rob someone on a bike trail and then grabbing a woman in an apartment building nearby. Joshua Sprinkle, of Alexandria, was arrested and charged with attempted robbery, attempted abduction and sexual battery. Alexandria police responded about 3:25 p.m. Monday, Aug. 14 to an attempted robbery on a bike trail near Holmes Run Parkway. According to police, a man grabbed the victim from behind and demanded money. The victim struggled with the man, and the man ran away. Only 35 minutes later, at about 4 p.m., officers responded to the 500 block of N. Jordan Street after an assault was reported. A woman was walking up the stairs of an apartment building when someone grabbed her buttocks, police said. The woman screamed and the man ran away. The suspect in both incidents was described as a tall, slim, black man with short hair, police said. Sprinkle was arrested two days after the attempted robbery and sexual battery. Police believe he may have assaulted other women. His photo was not released immediately. Anyone with information for police is asked to call 703-746-6858. Sprinkle is being held without bond.